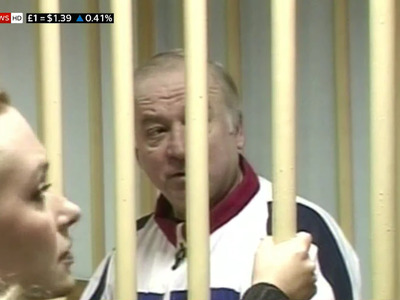 Sky NewsFootage of Sergei Skripal’s 2006 trial, obtained by Sky News. Sergei Skripal, the former Russian spy at the centre of an apparent attempted assassination plot in Britain, had links to Christopher Steele. Skripal passed intelligence to British officials at the same time Steele became MI6’s Kremlin specialist. But experts think Skripal’s sudden illness is unrelated to his connection to Steele, who penned the explosive dossier on US President Donald Trump’s Russia connections. The ex-Kremlin spy found unconscious on a bench in Britain almost certainly has links to Christopher Steele, the man who penned the explosive Russia dossier on US President Donald Trump, experts told Business Insider. Sergei Skripal, who is critically ill in hospital after being exposed to a mystery substance on Sunday, turned double agent in 1995 when he was recruited by the UK’s Secret Intelligence Service, MI6. Skripal passed information to MI6 agents between 1995 and December 2004, when he was arrested. That was the verdict of a Moscow military court, which sentenced him to 13 years in prison for spying for Britain. Skripal’s time handing intelligence to Britain overlapped with Steele’s meteoric rise at MI6, where he became the agency’s preeminent expert on Russia. 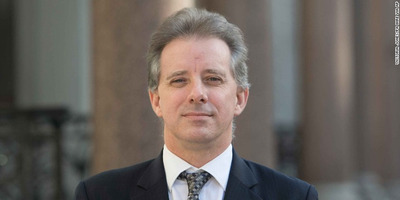 Steele was posted to Moscow for three years from 1990, working undercover as a British diplomat. After returning to London, he continued to work on Russia and “moved in a small world of Kremlin specialists,” according to The Guardian. By 2006, he was head of MI6’s Russia desk. 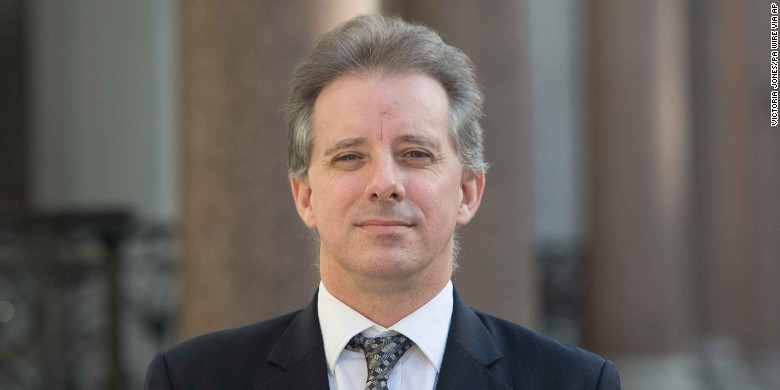 “It is beyond doubt that he would have known Steele and Steele would have known him,” said Professor Anthony Glees, the director of the Centre for Security and Intelligence Studies at the University of Buckingham. Jonathan Eyal, international director at think-tank the Royal United Services Institute, agreed that “it is likely” Steele and Skripal were linked. But he told Business Insider it was a “good headline” rather than information of any significance. If Russia was to blame for Skripal’s sudden illness it is not likely to be connected to Steele, Eyal said. He said Vladimir Putin’s regime would only have attempted an assassination if they had evidence that Skripal was still revealing state secrets or information on Kremlin operatives. “The idea that they would do it for fun or anything less serious is to be discounted,” he added. Russia specialist Glees also did not draw any particular significance from the connection, but did offer this theory: Trump supporters in Russia could have taken matters into their own hands in an attempt to embarrass Steele. “If Steele was running Skripal in Russia, then it [an assassination attempt] could be a way of getting back at him. It could have come from Trump’s Russian chums in America,” he speculated. Steele had an intricate web of Kremlin associates, and he used these contacts to compile his bombshell allegations against Trump. His 35-page report described Trump as engaging in compromising activities in Russia and his campaign officials coordinating with Kremlin operatives during his presidential campaign. There is no suggestion either way that Skripal was one of Steele’s sources, but it is likely that the two men would have been aware of each other’s work.